Editor’s note: This is part two of a three-part series, looking at the meaning, origin and future of Maine’s Down East storytelling tradition in the wake of Robert Bryan’s death earlier this month. Bryan was the surviving partner from the influential “Bert and I” records. You can read the first part of the series here. You can read the third part of the series here. Up until 1958, when Marshall Dodge and Robert Bryan recorded their first “Bert and I” record, commercial Maine humor had always appeared on the page. The distinctive Down East cadence and drawl had to be approximated in made-up contractions and idiomatic misspellings. Suddenly, with recorded sound, the new art of yankee accent mimicry was born. The pair knew each other growing up on New York’s Long Island. Each attended upscale New England prep schools. They didn’t become friends until a chance meeting at Yale University. “We instantly enjoyed each other’s company,” Bryan said, recalling the moment in a 2012 interview. The original "Bert and I" record was released in 1958 by Marshall Dodge and Robert Bryan. Neither was from Maine but they quickly realized they shared a love for yankee storytelling. 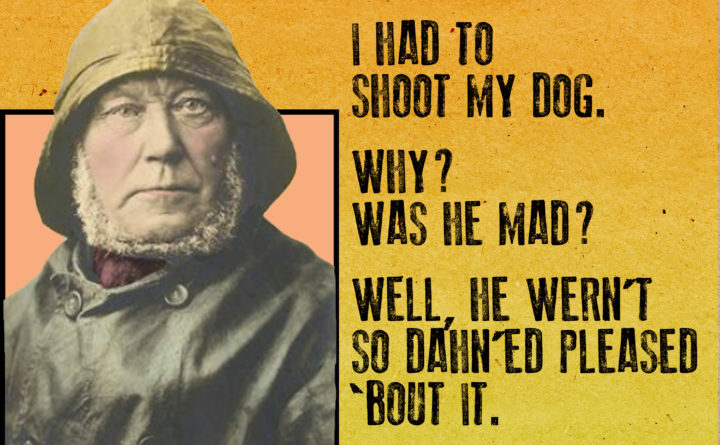 Dodge had never even been to Maine, though he’d been telling Down East stories in a school theater production. Bryan was an infant when his parents first brought him to the family summer home on Tunk Lake, near Ellsworth. Dodge and Bryan made their first record as a Christmas present for friends. It was a fictional dialog between two accented fishermen on Kennebunk Harbor. It was replete will homemade sound effects and leisurely, eventual punchlines. Soon, friends’ friends wanted records. “So we said we’d really splurge and make another 50,” said Bryan. Eventually, the record became so popular, the pair started supplying local record stores with an extended, full-length album version of the record, called “Bert and I and Other Stories from Down East.” It included several stories now enshrined in the Down East humor canon, including “Which Way to Millinocket?” That gem ends with the famous “you can’t get there from here” retort. It sold well and a Boston record distributor took notice. He helped them secure a nationwide deal with recording industry giant Decca. 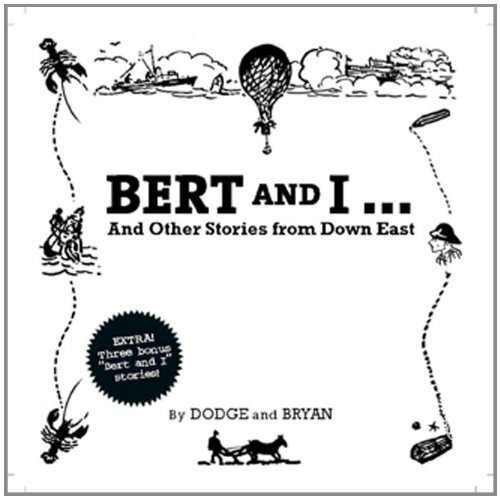 Dodge and Bryan set up their own “Bert and I” record label and published several more records and books over the ensuing two-and-a-half decades. After Yale, Bryan became an Episcopal priest and moved to Quebec. Dodge moved to Maine in 1973 where he continued to collect and perform stories. He also founded the long-running Maine Festival. The partnership ended in January 1982 when Dodge was struck and killed by a drunk driver while on vacation in Hawaii. Bryan presided over his funeral in New Haven. The success of the Bert and I records sparked a renaissance in droll yankee satire. It encouraged all sorts of characters to get on stage or in front of a microphone in the recording studio. As a business, Maine humor boomed. Hundreds of records, books and videos were published. Among the many inspired practitioners is Capt. Kendall Morse, a retired Maine Sea and Shore Warden. 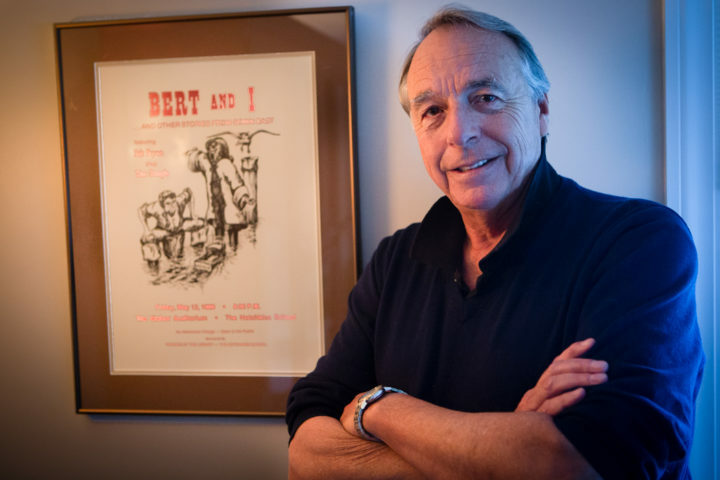 The Machias native began by specializing in stories heard from his uncle Curt, who was widely known for his “inability to tell the truth.” He told the BDN in 2015 that he thought he first started performing in the 1970s, but he couldn’t quite remember. “The memories are the first thing to go. I forget what the others are,” Morse said, still cracking wise in his 80s. He eventually hosted a Maine Public television show called “In the Kitchen” just a few years later. It featured Maine storytellers like Dodge telling tales over coffee. Morse garnered a grammy nomination in 2012. On the musical side, The Wicked Good Band started as a jug-tinged ensemble at Portland’s Deering High School in the 1960s. By the early 1980s, they’d solidified as sharp, somewhat sarcastic purveyors of Maine wit. One of their songs, “Maine Humor,” even pokes fun at the genre, itself. To date, the band has performed on national radio shows, released four albums, a book and a VHS home video. Their song, “State O’ Maine” has reached folk song status. They still play a handful of gigs every year, including an annual show at the Yarmouth Clam Festival. By the 1990s, comedian Bob Marley, also a Deering High School alum, arrived on the scene. Marley brought a bit of Maine humor to national television appearances on The Tonight Show and Comedy Central. For several years, he hosted sold out New Years performances at Portland’s Merrill Auditorium. In the tradition of Jack Dowling and Artemus Ward, Scarborough playwright Karmo Sanders created a batty Maine character named Birdie Googins in 1998. For the next 15 years, the thickly accented — and wildly popular — Googins appeared in television ads for the local Mardens surplus and salvage chain. Sanders’ latest play, “Homer Bound” is set firmly in the Maine humor firmament. It’s the story of a lobstermen and shotgun wedding on a fictional Maine island. It recently enjoyed a sold-out run at the Good Theater in Portland. Scarborough playwright and comedian Karmo Sanders is better known as Birdie Googins, the Marden's lady, from a long-running series of commercials she did for the retail surplus and salvage chain. Sanders contends Maine is chock full of funny people, amature yankee humorists who are funny on a daily basis. 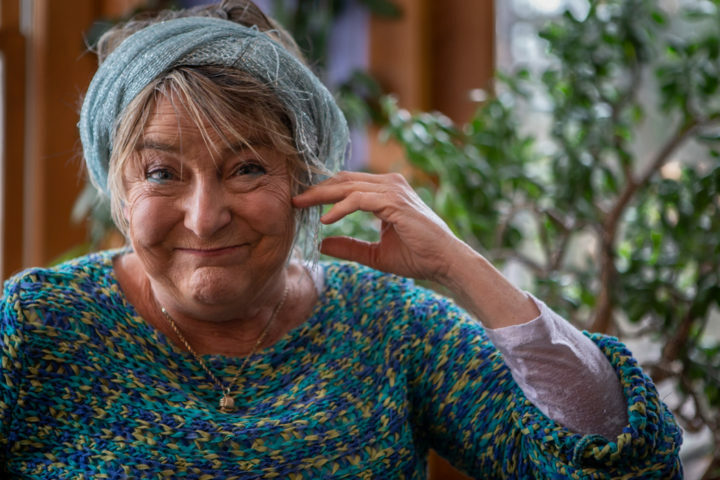 She gets inspiration for Googins and the characters in her plays from her neighbors in Scarborough, people she knew growing up in Norway and her mother, who lives next door. She remembers an old salt named Homer Meserve who came to visit after she had her first child. The most accomplished and well-known Maine storyteller to emerge from the Bert and I shadow is Tim Sample. The then 31-year-old Sample had just started to work with Dodge at the time of his death. “Marshall was a wonderful mentor to me and a great friend,” said Sample over a cup of coffee in his Portland home. It's the 35th anniversary of Tim Sample's first solo record on the Bert and I label “Down East Stand-up." The Boothbay Harbor native, now 68, went on to sell a million albums, books, videos and answering machine tapes. Sample also had an 11-year run as a correspondent for CBS Sunday Morning with Charles Kuralt, producing nationally televised segments about life in the Pine Tree State. Sample introduced more energetic, television-ready style of riffing to his act, but it’s still based in the Maine storytelling tradition. Part three of this three-part series will examine the future of Maine’s Down East storytelling tradition. It will be published tomorrow.